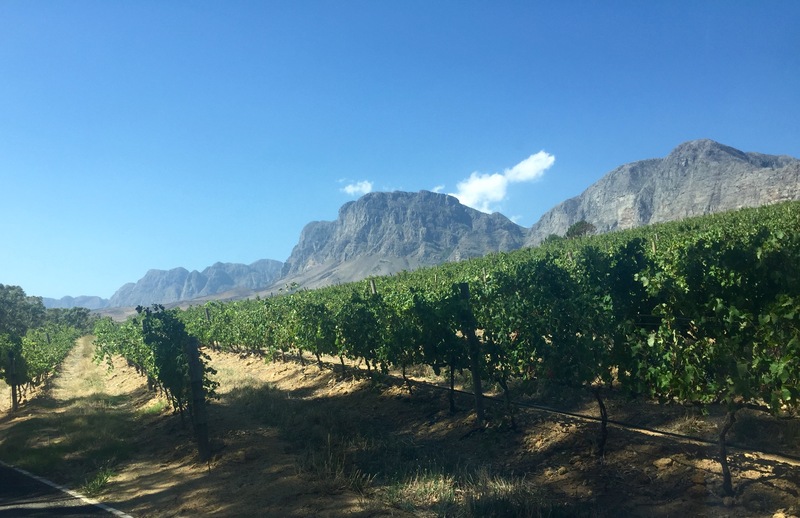 Today we’re travelling into the Winelands outside Somerset West, way off the beaten track on a long and winding road to the top of a hill. Yes it did feel like something of a voyage into the unknown. As you can probably gather from the length of that sentence. Idiom is run by the Bottega family who take great pride in their Italian/South African heritage. As a result Italian varietals are part of the wine portfolio, bringing the spirit of Italy to South Africa. 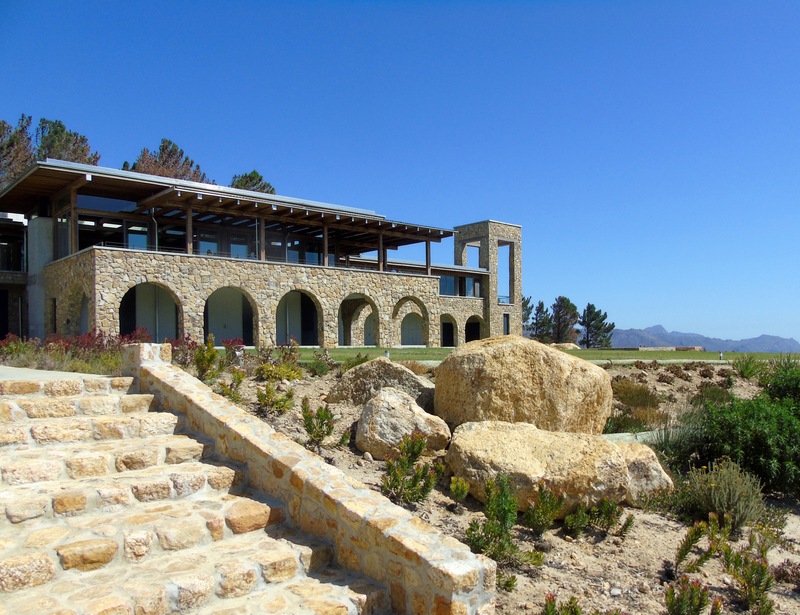 The restaurant opened in June 2016, so it’s a new addition to the ever-growing Winelands collection. You won’t be surprised to hear that the menu also has a real Italian flavour to it. And a good helping of South African influences. 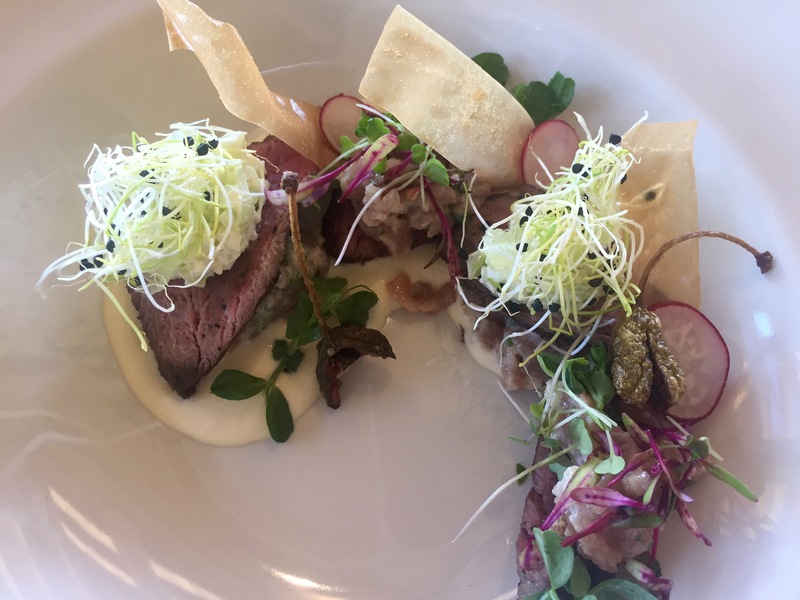 I particularly loved my starter which was a South Africanised version of one of my all-time favourite dishes, vitello tonnato. Usually it’s a dish of cold, sliced veal that’s covered with a creamy mayonnaise-like sauce that has been flavoured with tuna (normally tinned tuna). Sounds like a weird combination, but believe me it’s spectacular. Today’s version substituted ostrich for the veal. I’m not a big fan of ostrich but was so intrigued by the creativity of the dish I had to order it. The sauce was made with tasty chunks of fresh tuna and the ostrich was some of the best I’ve ever had. It was tender, perfectly cooked and amazingly tasty. What a great start! 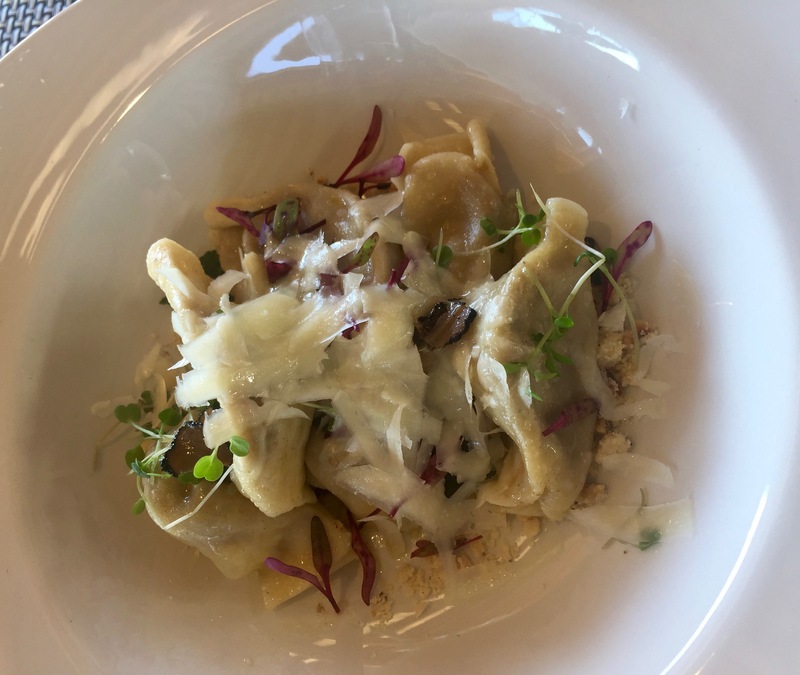 The porcini mushroom ravioli was packed with rich, earthy flavours and the home-made pasta was fresh and perfectly cooked. 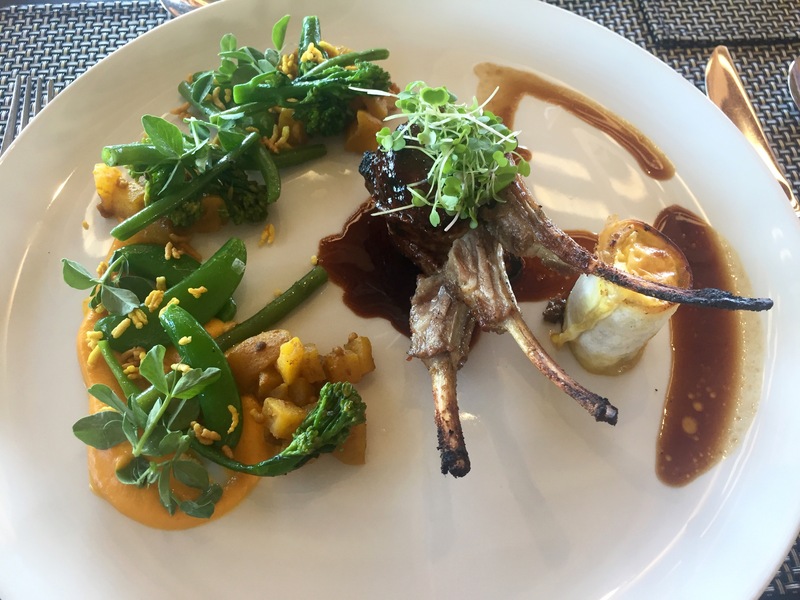 For mains I had beautiful little lamb cutlets, served alongside a mini bobotie (a South African dish of spiced mince meat baked with a custardy egg topping) and a lovely vegetable selection in orange and green – smooth and sweet butternut puree, cinnamon apples, crunchy sugarsnap peas, tender broccoli and pea shoots. 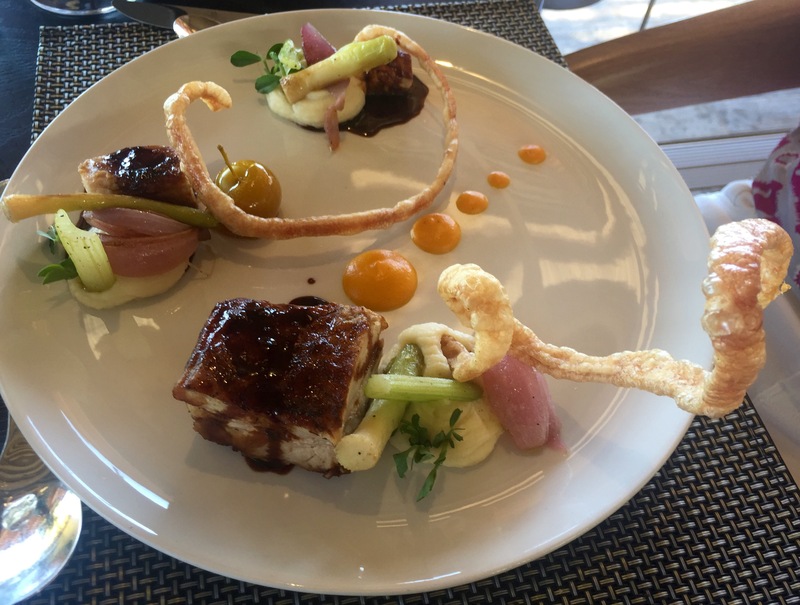 The pork belly came in piles of graded size – large, medium, small, with crunchy curls of crackling, buttery mash and candied apples. The food at Idiom is really good – a clever mix of South Africa and Italy, packed with good flavours and combinations and beautifully presented. 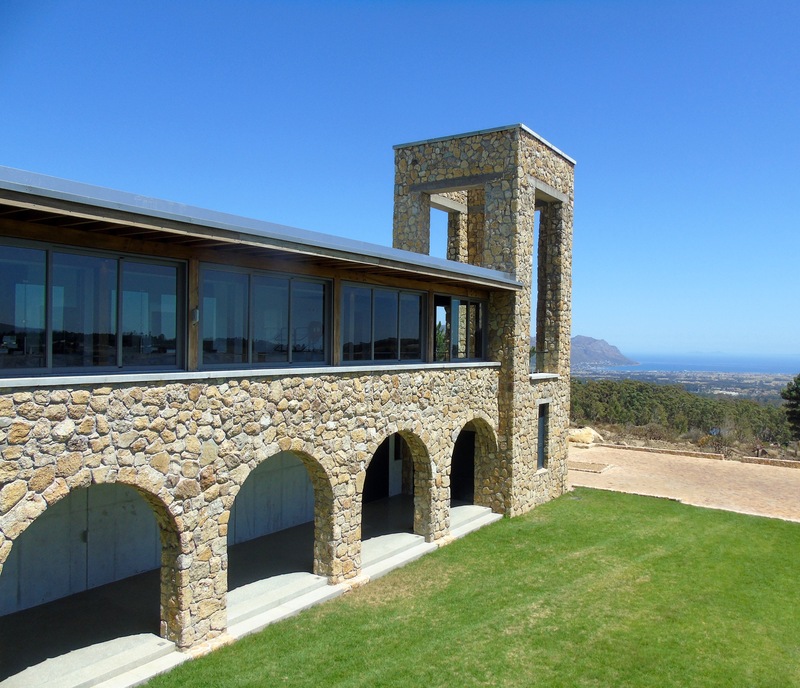 And the setting is truly spectacular with far-reaching views from on high across Gordon’s Bay and the sea. The Tuscan-style building and stonework also add an Italian feel to the surrounds. Unfortunately the service leaves something to be desired. It was hard to catch anyone’s attention and people were slow to respond. Also, our plates weren’t cleared before the next course arrived and we moved them ourselves so the waitress could put our starters down. She walked off and left us sitting there holding our dirty plates until we asked her to take them. Generally the attitude was also unenthusiastic and lacklustre. A shame as it put something of a downer on the whole experience. 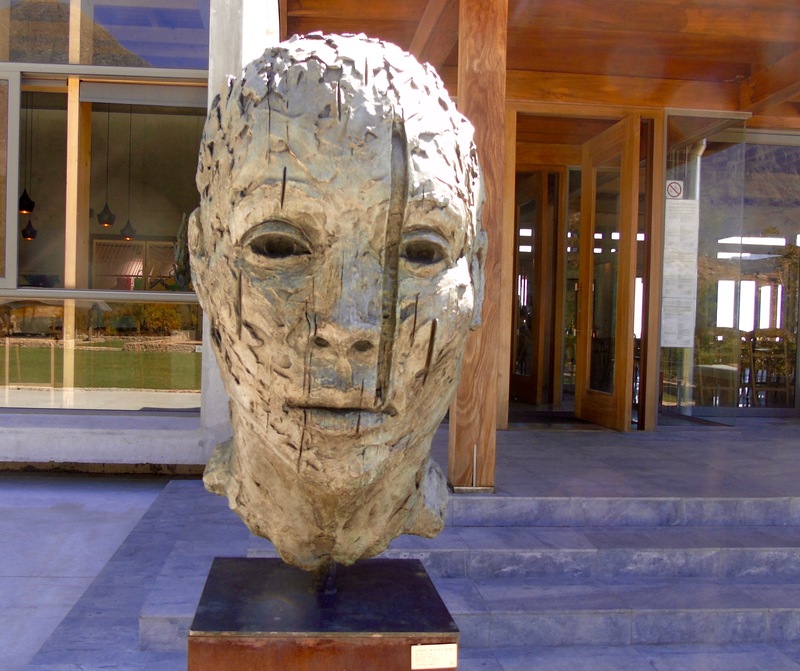 These beautiful heads welcome you at the entrance and are the masterpieces of contemporary South African artist and sculptor, Lionel Smit. Our two-course lunch for two, including wine cost R640. That’s about £40 at today’s exchange rate. Their Bianco (Pinot Grigot) is delicious and costs R100 (£6). The red Italian varietals were on the expensive side. A case of limited edition Nebbiolo (6 bottles) goes for R2,700 (£167). 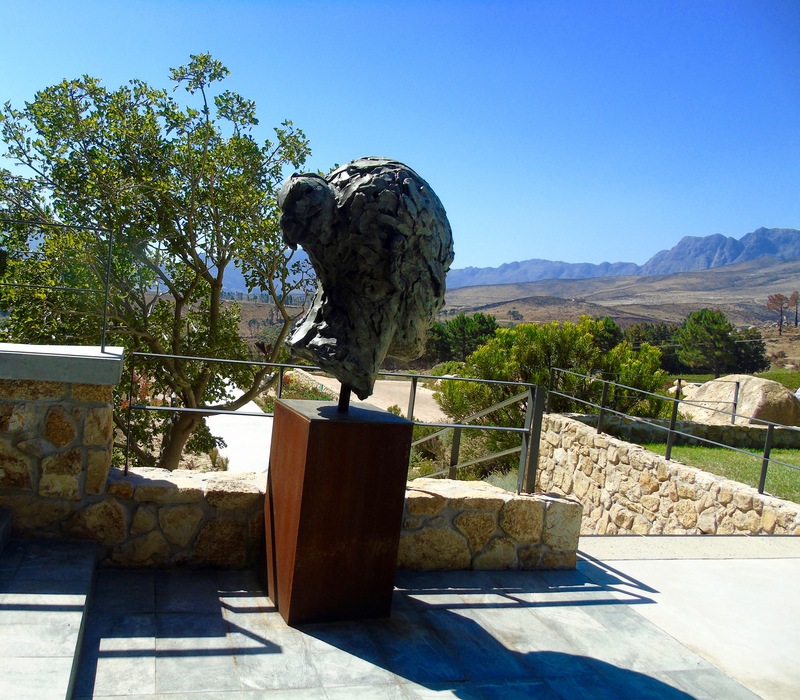 Idiom is at Sir Lowry’s Pass, Somerset West. 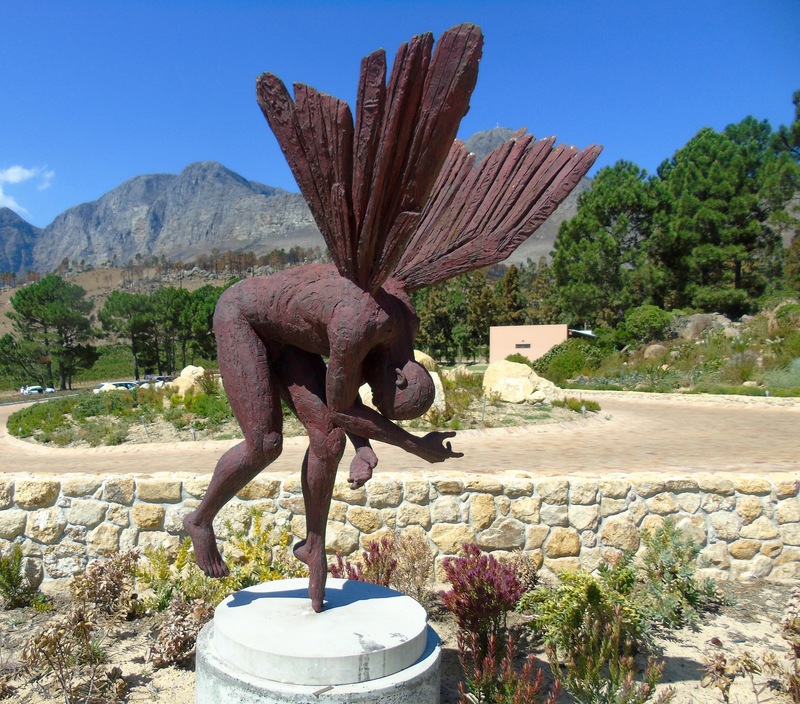 Do you have a favourite restaurant in the Cape Winelands? I’d love to hear about it – I’m always looking for new places to try.